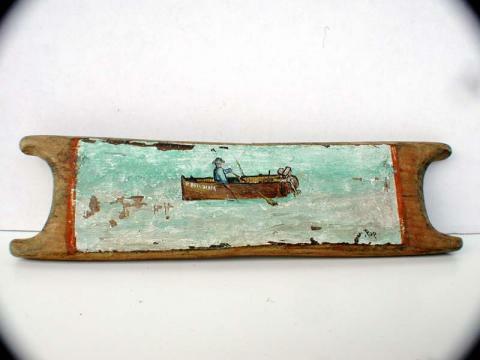 Primitive painting of beach house on one side; man in rowboat on other side signed Pop with Bill and possibly 1934 on side of boat. Some paint loss and an old chip on one end. Measures 7 1/4" long by 1 3/4" wide. Charming piece.